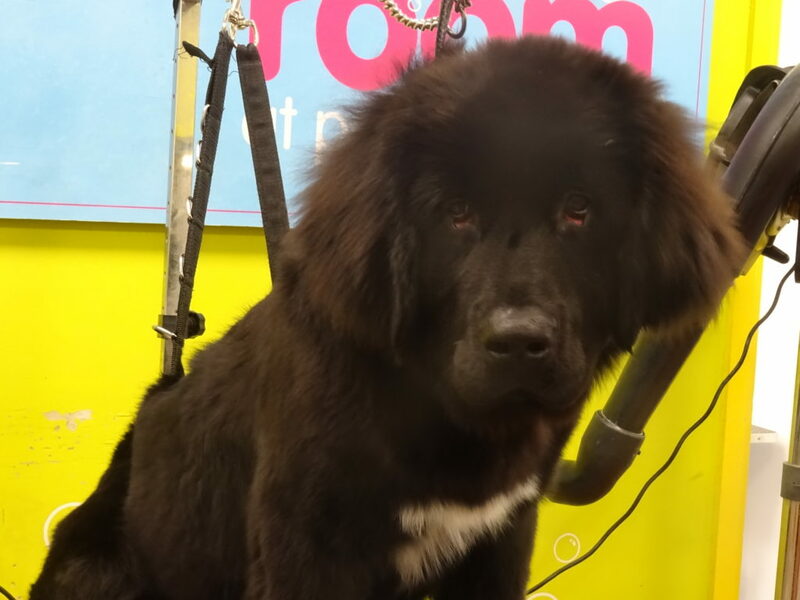 Newfoundland’s need a lot of grooming! Thankfully Merrie seems to enjoy being brushed, if she has a toy to chew on, not the brush! 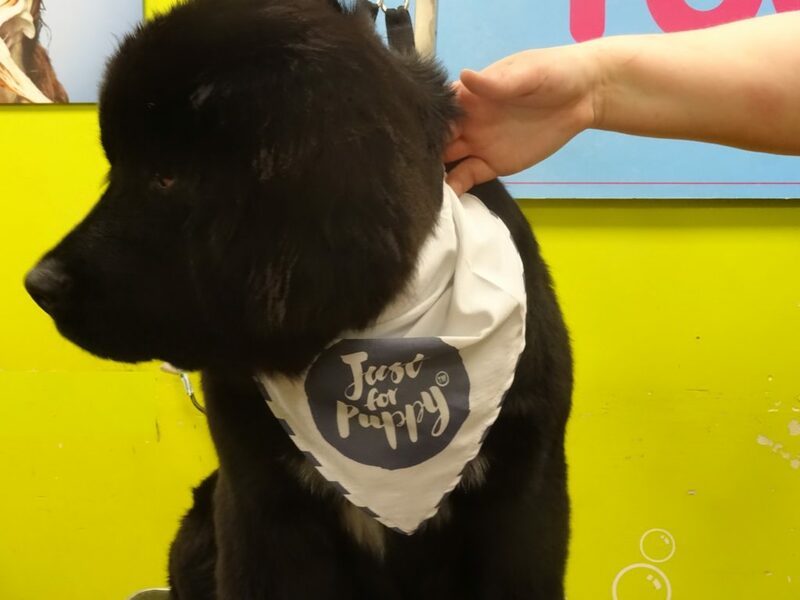 Pets at Home got in touch and asked if we would like to take Merrie to a Groom Room for a Puppy Pamper, which of course we said yes! All of this for just £20 regardless of the size of the puppy, which I think represents fabulous value for money. It was the first Merrie had been for a groom, she has been used to brushes since she was old enough to be brushed and we have our own blower, so she had experienced those before. When we arrived at Pets at Home in Lowestoft, Merrie was immediately at home as the lady on the desk gave her a treat! The Groom Room in Lowestoft is located upstairs, there is a lift to take you up there, but Merrie decided she would tackle the stairs! We were met by Chloe and Joelle, the reception area is bright and clean, with lots of jars of treats, that Merrie found in all the secret places! 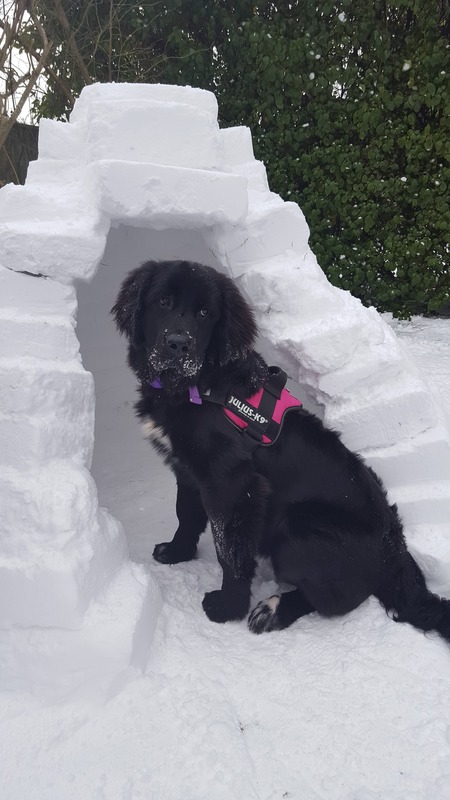 Merrie had a good explore around the area to get used to it, we filled out the paperwork and then went through to the bathing area. I obviously went through with Merrie to record, but usually the owners leave their dogs to be groomed and return an hour later, the Pets at Home is situated on a large industrial estate with various shops and supermarkets, so plenty of places to go for an hour! 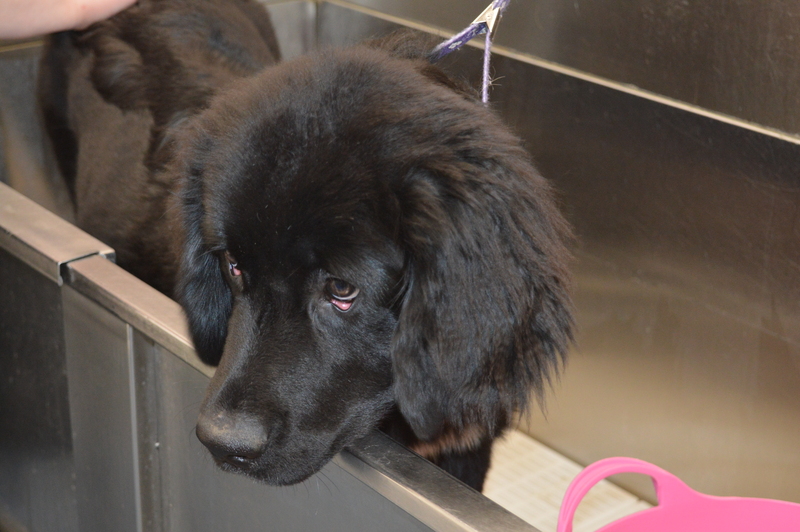 Merrie happily went into the bath, and enjoyed her bubble bath. After she had been washed and shampooed, she gave a big shake, then it was time for a towel dry, before she was given a blow dry. They placed a cover over her ears to dry out the excess moisture from her ears and to block out some of the noise from the dryers. After she was fully dried and extremely fluffy, she had her nails clipped and her pads shaved, a good clean of her ears and lots of pampering products applied, which smell wonderful. 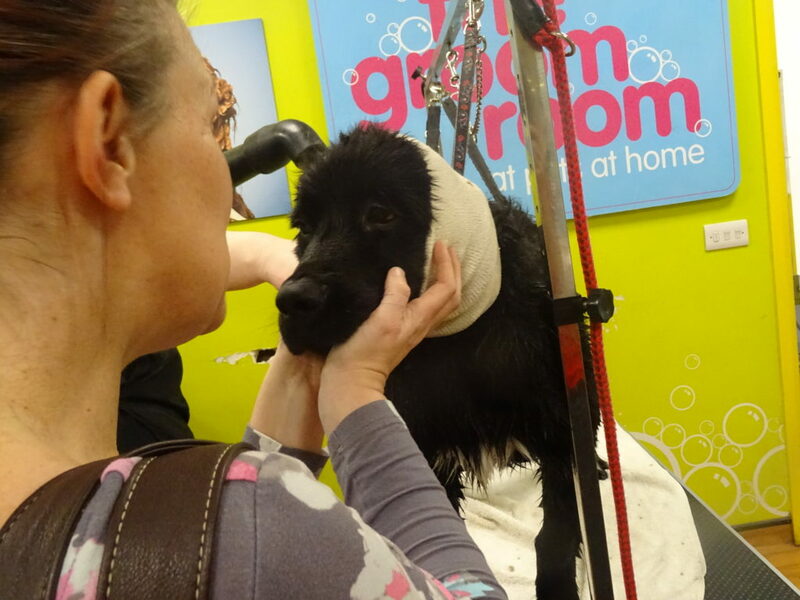 We had a brilliant time at The Groom Room and Merrie managed to stay clean for at least a day, but she smelled delicious for five days! 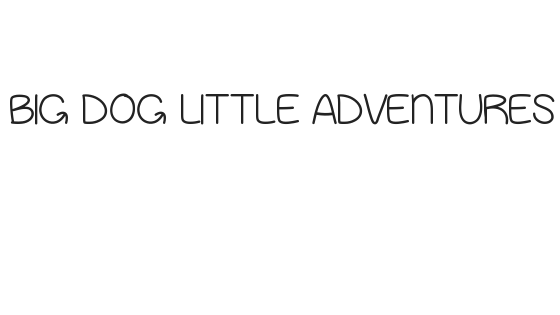 To see exactly what went on, take a look at our little video! 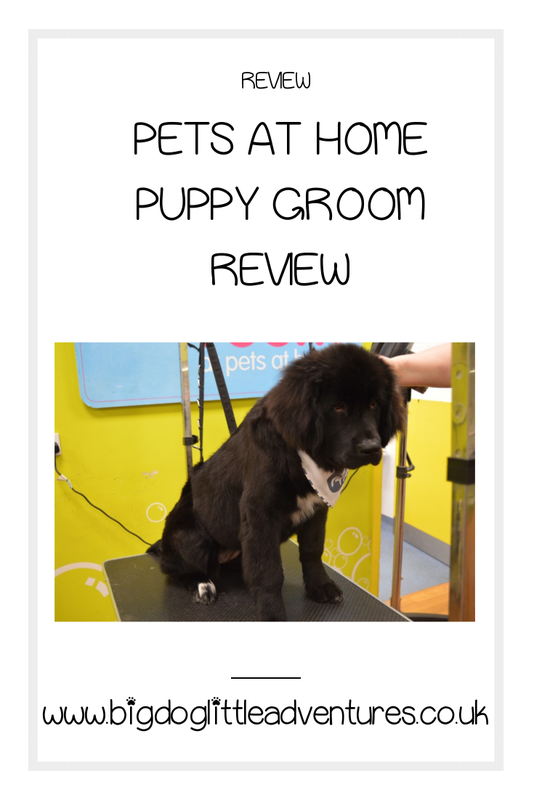 * We were provided with a Puppy Groom and VIP Treatment package free of charge for the purpose of this review, all thoughts and opinions are our own. She looks fabulous! What a great treatment – I will have to take Loki along one day. Omg I love the bandana at the end! 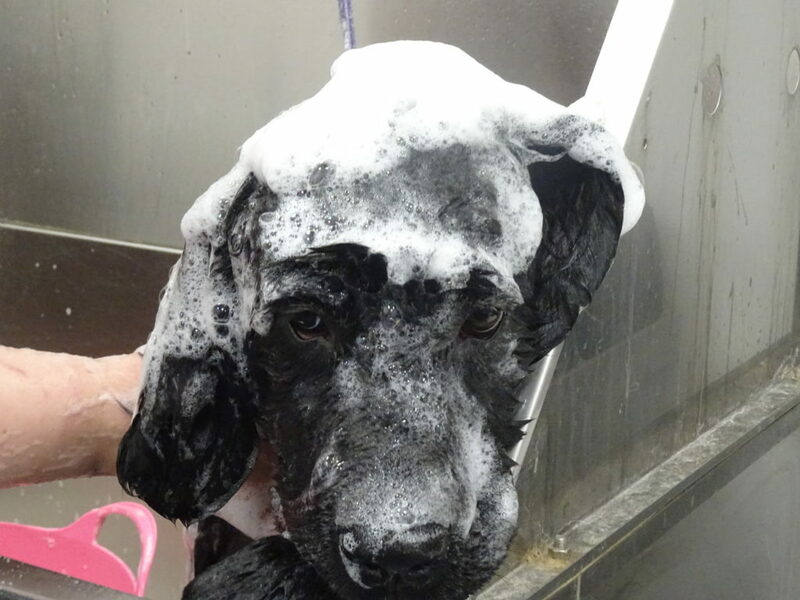 And every pup needs a pamper just like us!! Awwww bless looking all lovely and spruced up there’s nothing like that fresh out of a groomer’s look when you’re a dog! Ohhhh your dog is just adorable! How lovely for doggies to their own pamper days. Great value as well! Merrie looks fantastic! What a great service. And well done Merrie for staying clean for a day! 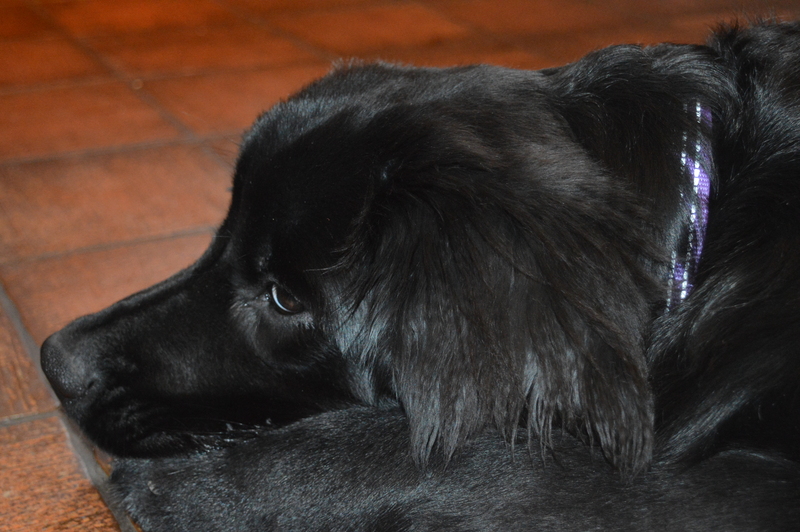 What a gorgeous dog! My boys would like one, but unfortunately for them their dad is allergic. They played with a neighbour’s dog in the park today though. I had no idea pets at home done anything like this, it sounds fantastic and so handy plus a great price!! Merrie is so cute!! Awww how lovely, for £20 they do quite a lot and merrie looks absolutely lovely, nice grooming done.